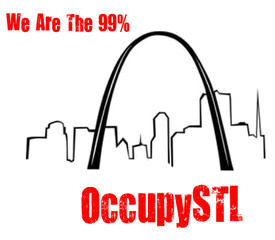 We, the people of Occupy Carbondale, will be moving to the Big Muddy Independent Media Center (known as the IMC) at 214 N. Washington St, near the Town Square in Carbondale, on Saturday, November 12th, our 1 month anniversary. Our current location at the corner of Illinois and Grand Avenue, between the Bucky Dome and Gaia House on the campus of SIUC, has served us well as a symbolically powerful location. However, each occupation must be aware of its own limitations and, more importantly, its strengths. After careful consideration, we feel that our movement will be better served from this new space. It is our intention to use this location as a shared community space and as a base of operations for continued indoor and outdoor activities, programs, and direct actions. 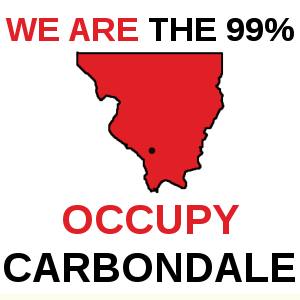 We assure the people of Carbondale and Southern Illinois that we have not gone away. 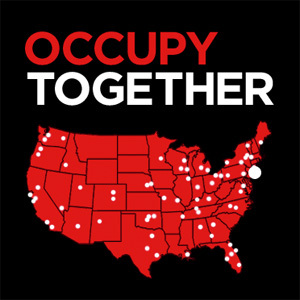 We still are and will continue to be an active movement of, for, and by the people. We encourage everyone to join us in our new space where we seek to build true democracy and authentic community with you (yes, you!). It is never too late to get involved. Bring your thoughts, complaints, contributions, energy, enthusiasm, and yourself to the Big Muddy IMC.